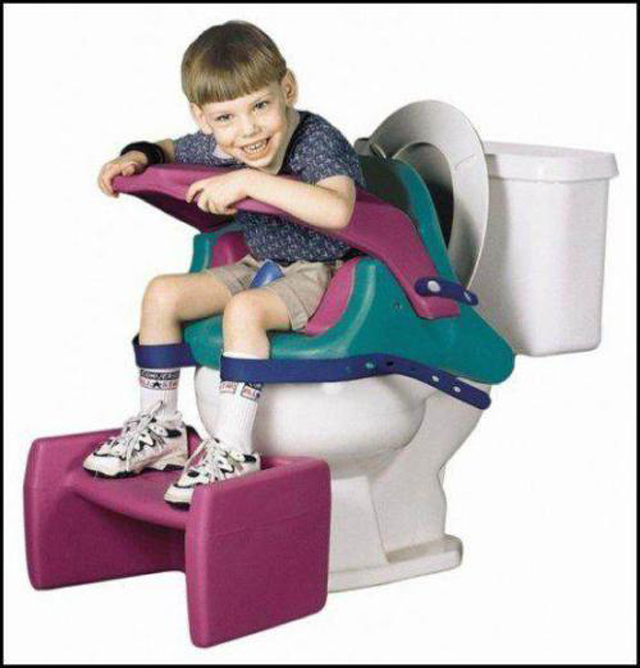 Having trouble potty training your kid? Why waste time sitting on the edge of the tub waiting for them to take a leak, or even worse having them pee into one of those nasty training pottys that you have to empty…you have a kid…not a cat, remember?? Just get one of these little happy devices, strap your kid in and wait for the magic to happpen. Since they are completely secured to the top of the can, you are able to leave and go about your daily life and tell them not to bother you again until their business is done. Posted on July 20, 2011, in Hilarious, Ridiculous People. Bookmark the permalink. 1 Comment.